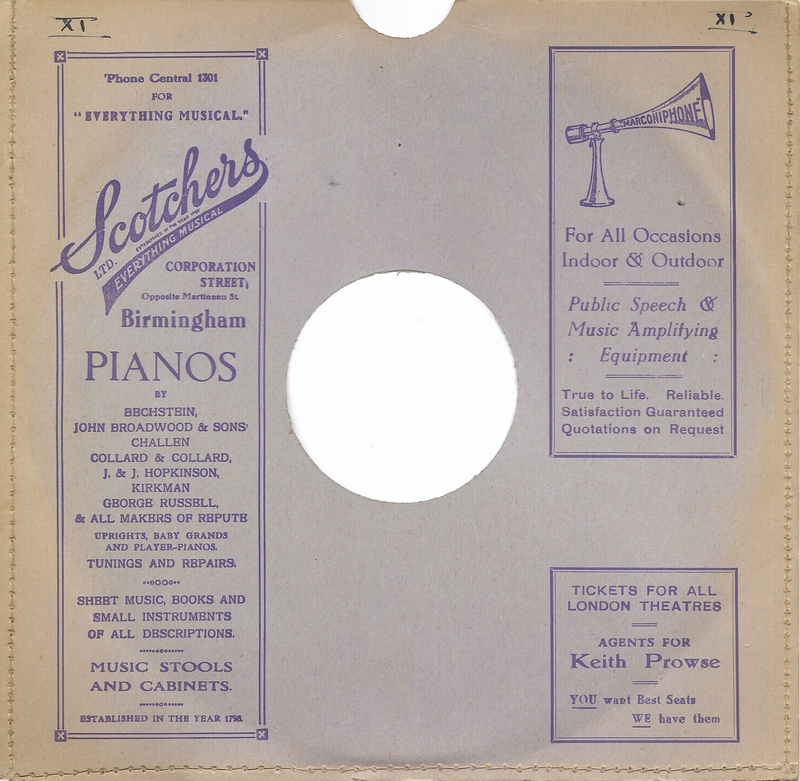 59-61 Corporation Street – Our research has this record shop open between 1932 and 1947 with no evidence of it during 1952. With earlier years (established 1795), and those between 1948-1951 still under investigation. 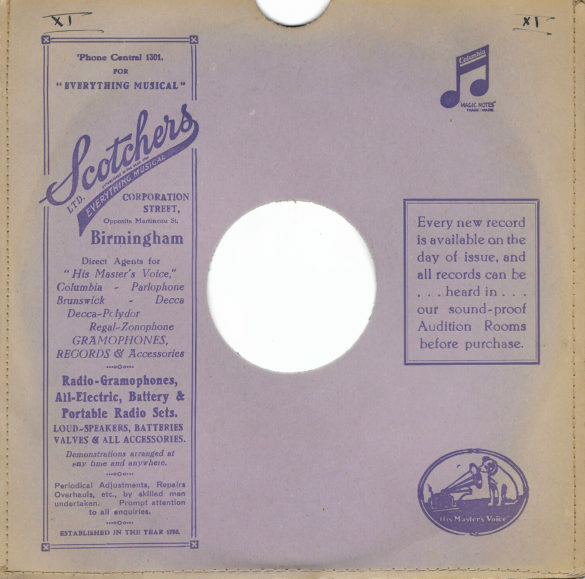 I have a 78 rpm disc . Inscribed ‘Use Trailer Needles Only. This is of The Norman Nankervis Orchestra.. Both sides are used. 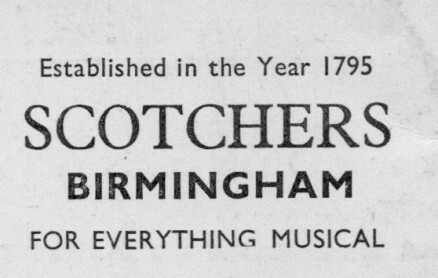 There is no date but the label says D.H.LYONS, Scotchers Studios, Corporation Street, Birmingham 2. Electrographic Recordings Ref 710423 [Part Two] Ref 710424 [side one].The music sounds early 1950’s an English band trying to emullate the Glen Miller style. My father Leslie Clay was in this band either playing violin or alto sax.This was the band which were resident in Lewis’s Restaurant during around the early 1950’s. Norman Parker [recussion] Fred Kelly[piano] and I remember the names Norman Jaeger, Billy Hand.Is this info of interest. II also have 78’sof The Harry Engleman Quintet [recorded pre 1940]. They topped the bill at the London Palladium in 1938. 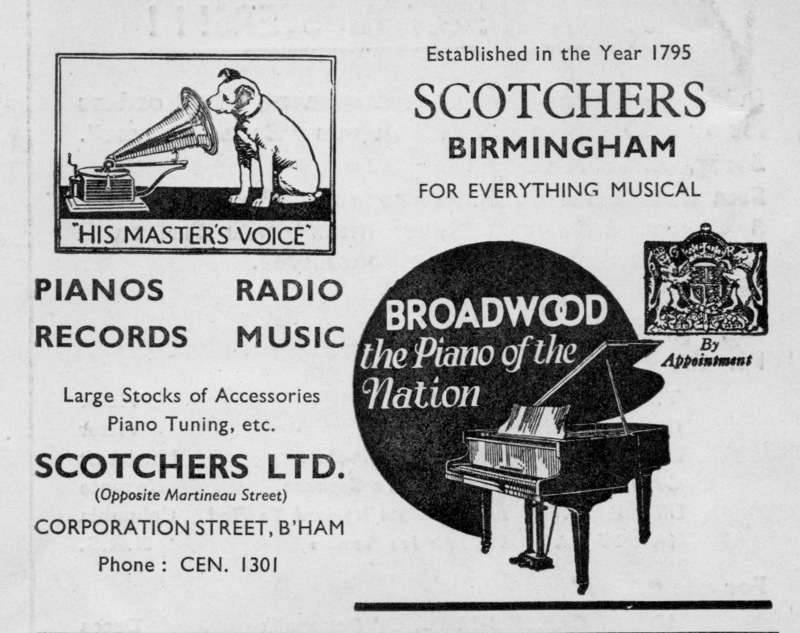 A Birmingham group too! I studied piano accordion there in the late forties under Tony Ramarno who used to play at the Aston Hippodrome Birmingham. He was not the best of teachers, he used to write out the chord names for the left hand to save you having to learn to read in the bass clef.